This is the Absolute Coolest RC Wall Climbing Car - Great Christmas Toy! 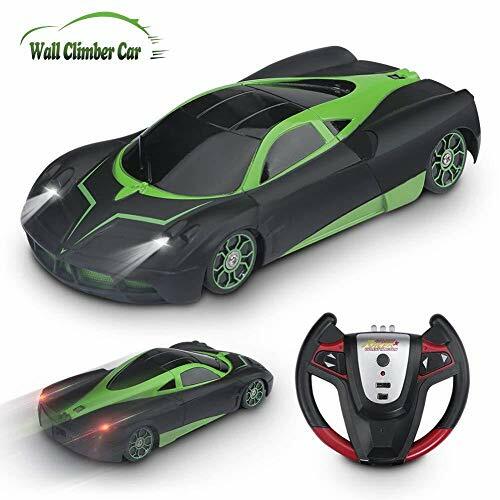 If you’re looking for a cool toy to give a kid that likes toy cars, this wall climbing car is it! The offiicial name of this RC toy is SZJJX Wall Climber, which is just really hard to pronounce. It used to be called the Spiderman Wall Climbing Car, which was easier to say, but was confusing because it had absolutely nothing to do with the Marvel franchise. But like Spider-Man, this thing actually does climb floors, walls, and even ceilings! 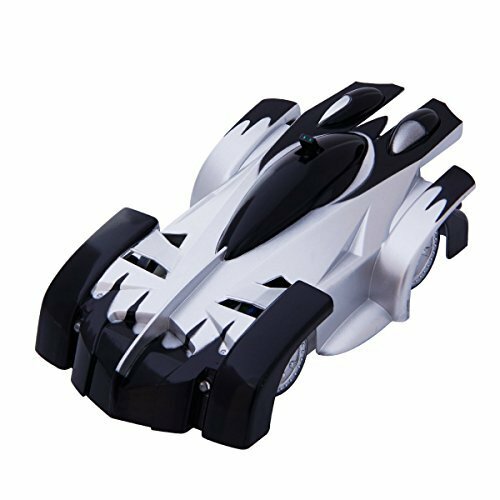 This RC wall climbing car is advertised as a “zero gravity car” which is pretty cool all by itself. A suction fan works as a vacuum feature and allows the car to drive vertically up walls and even upside-down. 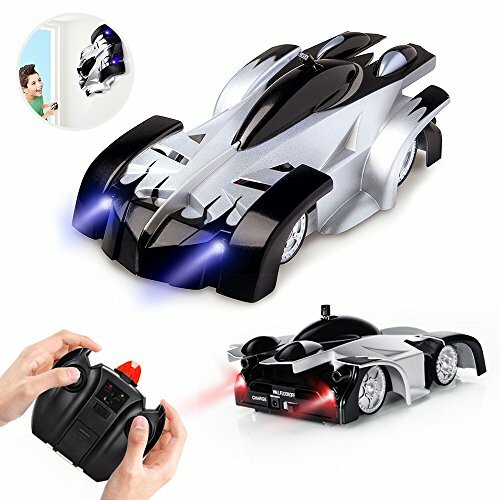 It comes with a remote control which powers the car forward, backward, through left and right turns, and in 36o degree circles. Yes, you can do donuts with this car. The manufacturer’s recommend age for this toy is 8 years and up. Honestly, this is a pretty simple remote control car to operate. A younger child of seven or even six years old would probably do fine with this, with a little extra supervision. This little dynamo will appeal to kids, teenagers, and any adult who enjoys playing with remote controlled vehicles. I mean…what’s not to love about a wall climbing car? 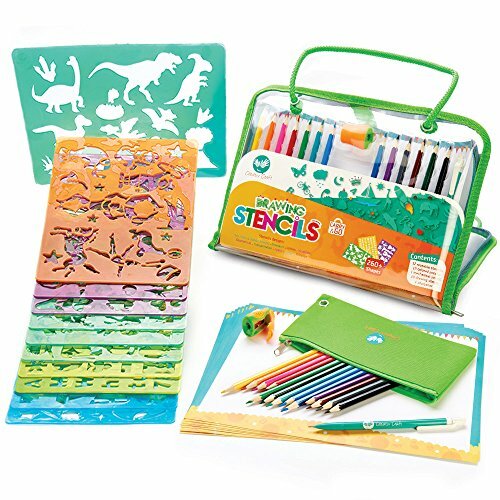 For more toys that boys in this age group might like, check out our Top Toys for Boys Age 6 to 8 gift guide and our Top Toys for Tweens post. The big plus here is obvious: It’s a car that climbs walls!! This zero gravity feature is a huge selling point and makes it unique from all the other RC toys out there. It’s small and lightweight, yet durable enough to handle a fall or two. 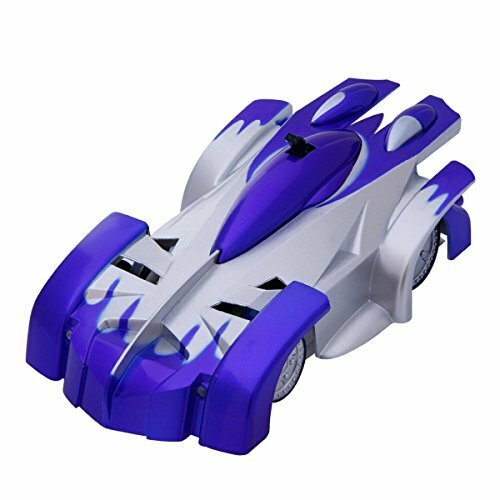 At only 6 inches long, it doesn’t look very powerful, but this nifty wall climbing car packs quite a bit of speed in its little size. You’ll be impressed with it’s maneuverability. It works well on any smooth surface, such as hard floors and smooth walls and ceilings. 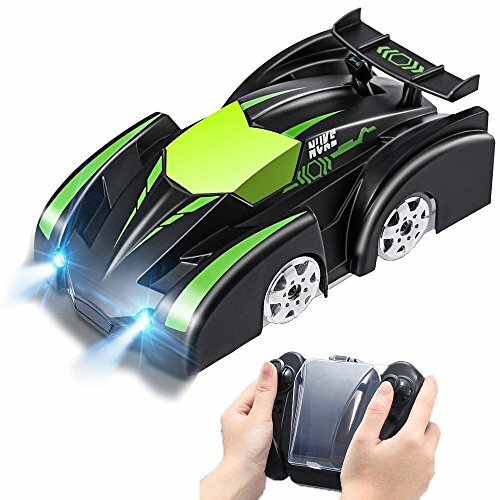 This little racer also has headlights and brake lights that make it fun to play with in the dark. The makers describe the car as having a shockproof body, designed to withstand falls without breakage, and other reviewers seem to agree. Best of all – it’s a GREAT price! The SZJJX Wall Climbing Car comes in blue and a slightly different model in green. Its small size (remember, it’s only about 6 inches long) might disappoint at first. But if it were bigger it probably wouldn’t navigate across ceilings as effortlessly as it does. The car takes about 20 – 30 minutes to charge and the charge lasts about ten minutes. So it’s ten minutes of play, followed by 30 minutes of hearing, “Do you think it’s ready yet?” from your child, repeatedly. Younger kids might get a bit impatient at having to wait. Truth be told, so might some adults. It works great on smooth surfaces, but if you have a popcorn ceiling, it won’t work there. Of course, nothing stopping your child (or you!) from bringing it to a friend’s house and using it on their ceiling. Is the SZJJX Wall Climbing Car Worth The Money? This toy is absolutely worth the money. Is was priced well when it first came out in 2016 and it’s even cheaper now. 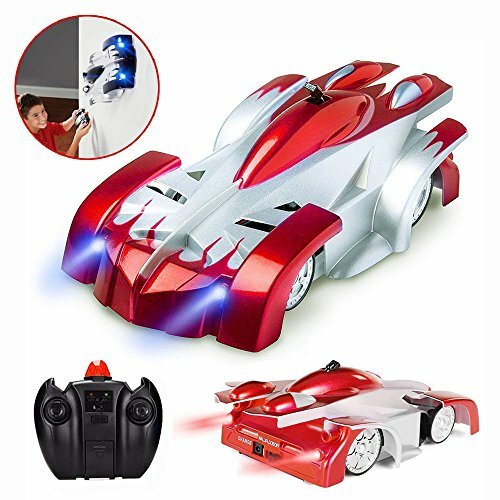 This unique little remote controlled wall climbing car will keep kids of all ages occupied long after the wrapping paper is thrown out. We are so glad you asked! 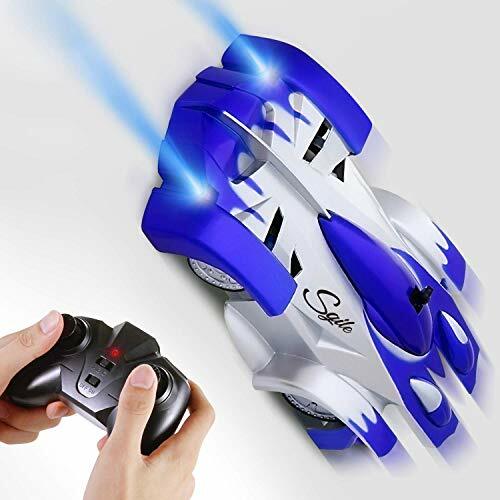 😉 Conveniently, you can buy this Superhero-ish, fabtastic, wall climbing car from Amazon, through any of the links in this post. How great is that? 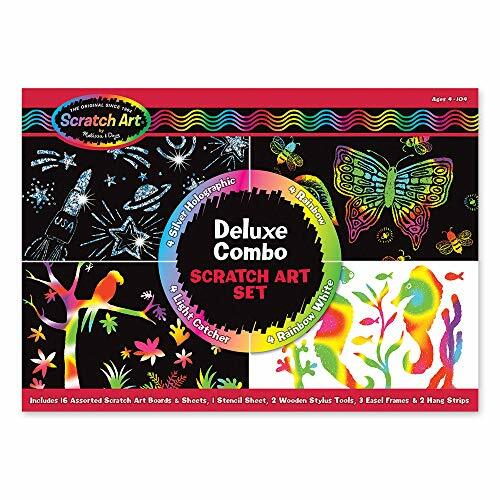 This will make a terrific gift for kids ages 8 to teens, and even for adults who like remote control vehicles. 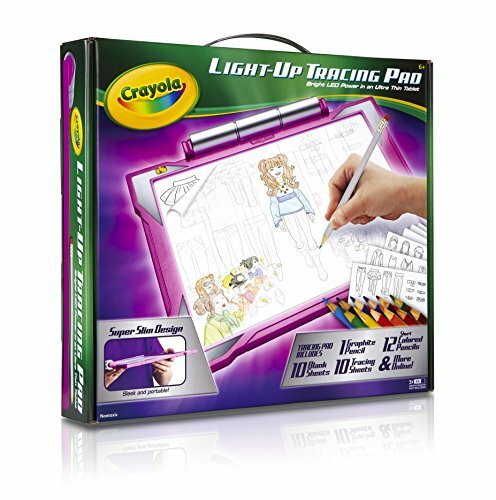 Girls and boys alike will have hours of fun with this one. This car does exactly what the name says and more. It’s a super fun toy for kids and adults both, especially RC car fans. Since this post was first published in 2016, there have been a few other wall climbing cars released to the market. Some of them have added features, like a USB charger for the car. They are definitely worth checking out, so I’m displaying them below. One to look at for sure is the SGILE Remote Control Car. I wanted to order another SZJJX car for my nephew last year, but procrastinated and went on Amazon too close to Christmas and they were backordered. So I ordered the SGILE instead and it was very similar and worked great. My 10-year-old nephew and his 11-year-old sister both got a kick out of it with their friends! The SGILE car does not have a USB charger, but the other three below do. Zero gravity, wall climbing cars are super cool toys and definitely entertaining! 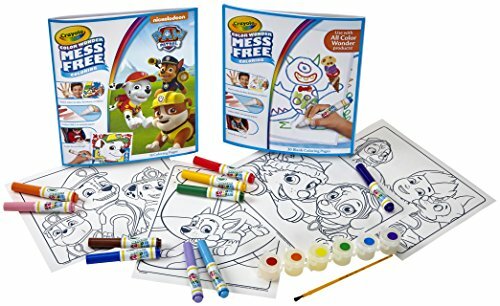 They make an awesome birthday or Christmas gift for kids and playful adults too.